About 10% of all people have loose joints that don’t cause any problems;Michael Phelps is one example. Others with hypermobile joints may develop potentially serious health concerns and complications and thus are considered to have a medical disorder, such as Ehlers-Danlos syndrome (EDS). 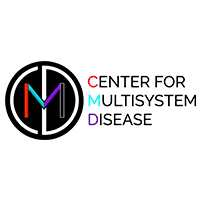 Dr. Schofield at the Center for Multisystem Disease specializes in recognizing and diagnosing EDS as well as important comorbidities that may occur in patients with EDS. To learn more or to schedule an appointment, call the office in Denver or use the online booking feature. What are the Ehlers-Danlos syndromes (EDS)? EDS includes a group of inherited disorders that affect the collagen in your connective tissues. Collagen provides the strength and structure that holds our bodies together. Your joints can move beyond their normal range of motion. For example, you may be able to bend your thumb back to touch your arm. Some patients may have unusual but harmless joint looseness, while others have more extreme hypermobility that may lead to complications. Your skin might stretch more than normal and it may have a soft, velvety texture. Skin in EDS patients is typically fragile and does not heal as well as skin from non-EDS patients. The new 2017 International criteria for a diagnosis of hypermobile EDS were designed to specifically define the most severely affected patients as having EDS and those that do not meet the formal specific criteria but still have significant issues related to loose collagen as having hypermobile spectrum disorder (HSD). Patients with HSD may have similar symptoms and complications as those with EDS. What complications develop due to EDS and HSD? Many patients with EDS/HSD develop chronic joint pain. You may also bruise easily and be susceptible to skin tearing and wounds that don’t heal well. What comorbidities are associated with EDS? On average, symptoms begin to appear around the age of 12, but most patients aren’t diagnosed until they’re about 24. Getting an early diagnosis is a critical step so you can learn lifestyle changes and strategies to protect your joints and health. Regular exercise is an essential part of treatment, but you should avoid high-impact sports like football. Many patients benefit from structured physical therapy with an EDS/HSD expert. Beyond exercise, Dr. Schofield works closely with each patient to evaluate you for the important complications that may occur in EDS/HSD patients. While there’s no cure for EDS, she can help you improve your quality of life. If you have loose joints and wonder about EDS, call the Center for Multisystem Disease or book an appointment online.